Google Glass Explorer Edition Goes On Sale In The UK, Here’s How To Get One Now! Having spent the best part of a year developing its head-mounted technology in the United States, Google has just rolled out the Explorer Edition of Glass to interested parties in the United Kingdom. At a price of £1000, it works out at roughly the same cost as the U.S. version, and although Google alluded to a wider roll-out across more countries in its announcement post on G+, the UK is the currently the only group of countries officially outlined as beneficiaries of Glass. 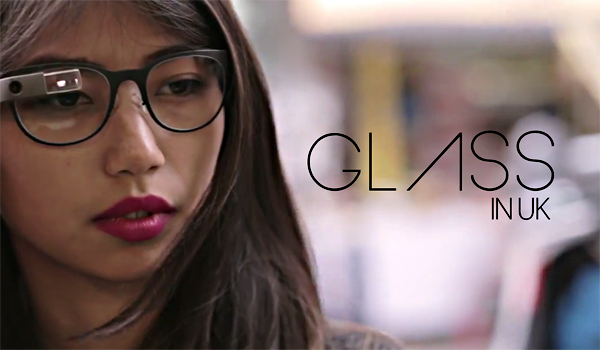 In telling the world of its intention to release the beta version of its face computer across the pond, the Big G also released a promotional trailer, offering a “glimpse of London life #throughglass.” Additionally, the search giant will be running a couple of Demo Days in London on June 27th and 28th. You can simply sign up to the Glass Explorer program by going here. As you would imagine, Google has been inundated with questions and queries relating to a wider roll-out of Glass beyond the confines of the United States, and although the company has been relatively quiet on the matter until now, it’s good to see that the tech is broadening its horizons as the early 2015 launch draws closer. Despite the fact that testing out Glass has hitherto been a U.S.-only opportunity, this hasn’t stopped Google’s face computer from reaching the four corners of the earth. From Virgin Airlines at London’s Heathrow Airport to Dubai police testing its prowess in the fight against crime, Glass has become more ubiquitous than one might have assumed given its limitations, and it’ll be interesting to see just if the geeks of the British Isles take to Glass with the same enthusiasm as their American counterparts. Like we mentioned before, Google Glass is already available to buy in the U.S., so if you’re residing stateside, then you can grab a unit right away. With the big I/O developer conference kicking off on Wednesday, you can bet your bottom dollar that Google will have plenty more interesting revelations to share with the tech world before the week’s out. We’ll be watching the event closely as it unfolds, bringing you all of the big announcements as they break, so be sure to stay tuned to our coverage here at Redmond Pie!